Our friends Marie and Tom at Sunnydale Farms have outdone themselves this year, providing us with beautifully fresh and plump Niagara plums. Our Dry-Hopped Plum Uber is aggressively tart with bright notes of plum skin and lemons. Dry-hopped with Mosaic and Citra, it bursts with tropical fruit, lemon drop sweets, and ripe plum juiciness on the aroma with a crisp finish. It pours a remarkably bright yellow haze, and pairs best with ceviche, oysters, and salads. 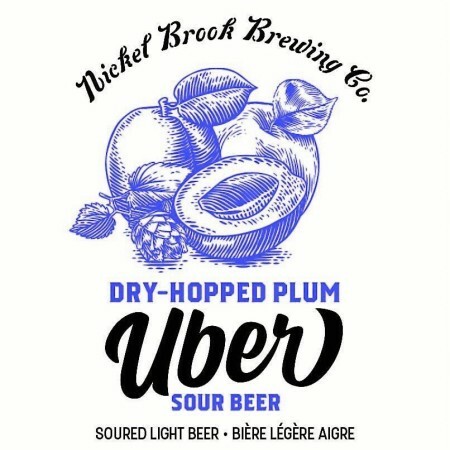 Dry-Hopped Plum Uber it will be released at the Nickel Brook retail store on Saturday August 25th at 10:00 AM. It can also be pre-ordered now via the Nickel Brook online shop for delivery within Ontario or pick-up at the brewery.